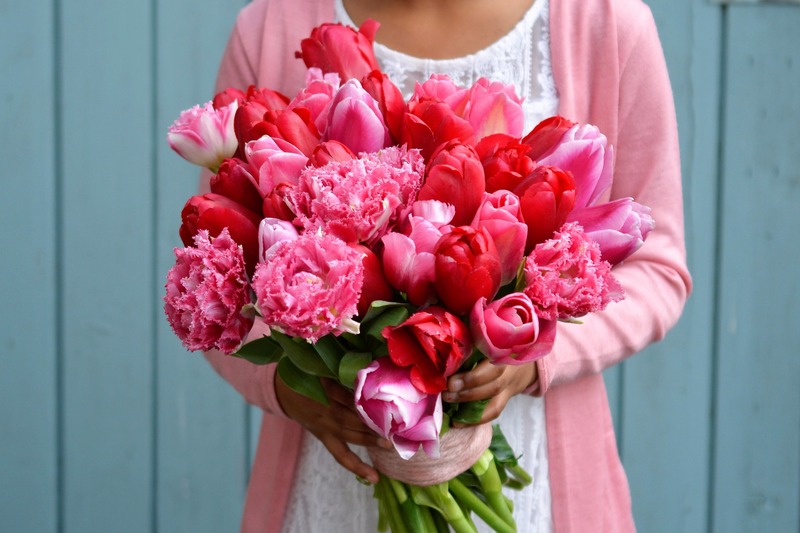 We spread the love for flowers, from our flower farm in Holland to your garden! Hey! 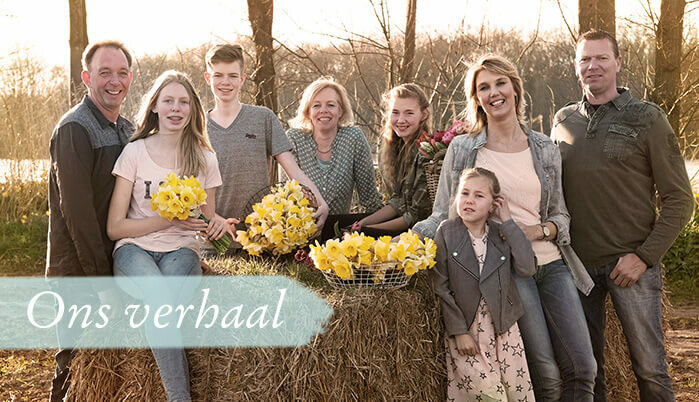 We are Marlies and Linda, the driving forces behind FAM Flower Farm, which consists of two Dutch FAMily flowerfarms located in the flowerbulb region, next to Keukenhof in Lisse, Holland. We have been friends since middle school and we both married a grower. Since long time we played with the idea of how to share more of our beautiful products with the world. Our flower bulbs and dahlia tubers were sold and went all over the world but to whom we didn't know and we never get any feedback from endusers. Thanks to social media it became possible to tell our story and share our fields and beautiful flowers with other flower fans. And the best part is that we are in direct contact with our customers now. They are often surprised how easy it is to plant bulbs or tubers and how long you can enjoy the flowers, both in the garden and in the house. All enthusiastic reactions give us lots of energy and with all the feedback we are happy to further improve! FAM not only stands for family but also for feminine because we like to give a feminine touch to our photos, stories and packaging. Meet our FAMILY, look in the heart of our nursery and follow the Dutch seasons via Instagram. 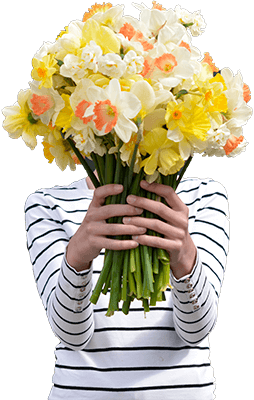 Enjoy our tulips and daffodils in spring and all cheerful and special dahlias in summer and autumn. We are proud and want to share our colorful moments with you. We hope that you get excited as well and get started to plant tulip bulbs and dahlia tubers, it really is not difficult and they give so much fun. To ensure that you enjoy your flower garden optimally, we give you lots of tips and tricks and inspiration. HENK is the only son in the Van der Slot family. Together with his three sisters, he grew up around the flower bulbs and started working as a young boy on the flower farm. Tractor riding was his big hobby, and still is today. 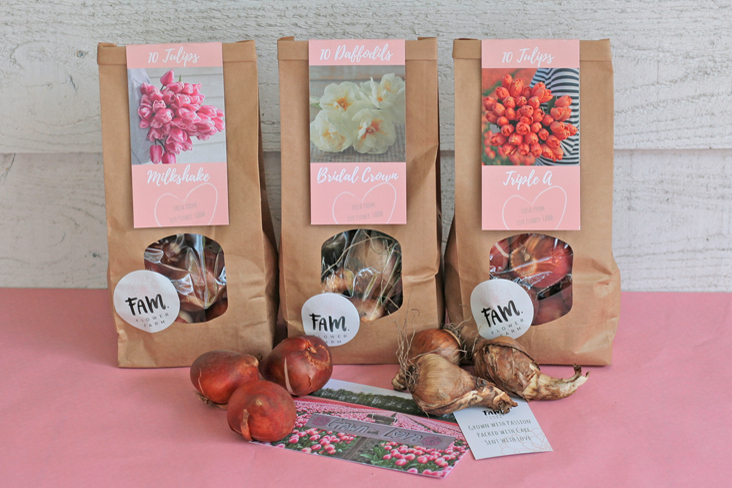 Henk is a real flower bulb lover. He goes for the very best and most beautiful species, knows all the characteristics of tulips and daffodils and enjoys his work. He is proud that the flower field land is owned by the Van der Slot family for more than 200 years. 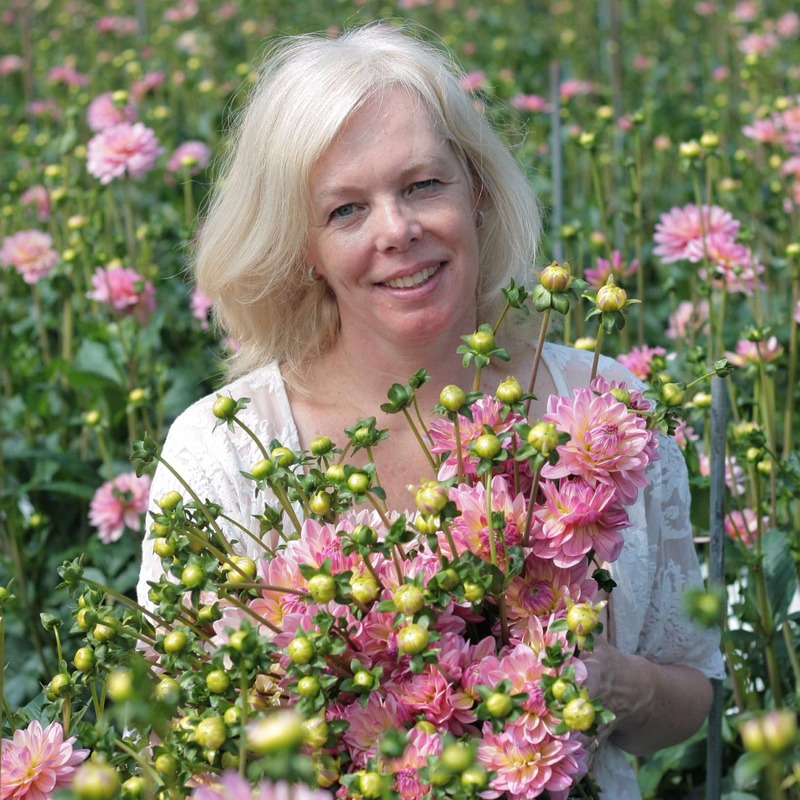 LINDA grew up on her parents’ flower farm in Noordwijkerhout. Therefore, her passion for flowers started early. Linda helps Henk with the company's administration and promotional activities. Arranging and photographing flowers is her hobby. BRITT is crazy about cats. Every year there is a litter of young kittens. Britt brings loads of girlfriends who like to come see the kittens after school. She likes to help and earn some money by cleaning the bulbs or selling fresh flowers. TESS is asking questions all day. There is a lot going on in that head of hers with the big blue eyes, and she wants to have an explanation for everything that grows and flourishes. Lovingly, she wants fresh flowers in her own bedroom every day. If you are looking for her, you will most likely find her on the big trampoline in the garden. Grandfather HANS and Grandmother RINA also live at the farm and still happy to help. HUBERT runs the dahlia farm. After completing his education at the agricultural school, he began to grow flowers on the land at the age of 16. Both his grandfathers and his father were growers, so he grew up on the farm as well. The cultivation of tubers and seeds, harvesting and delivery to our customers is regulated by Hubert. 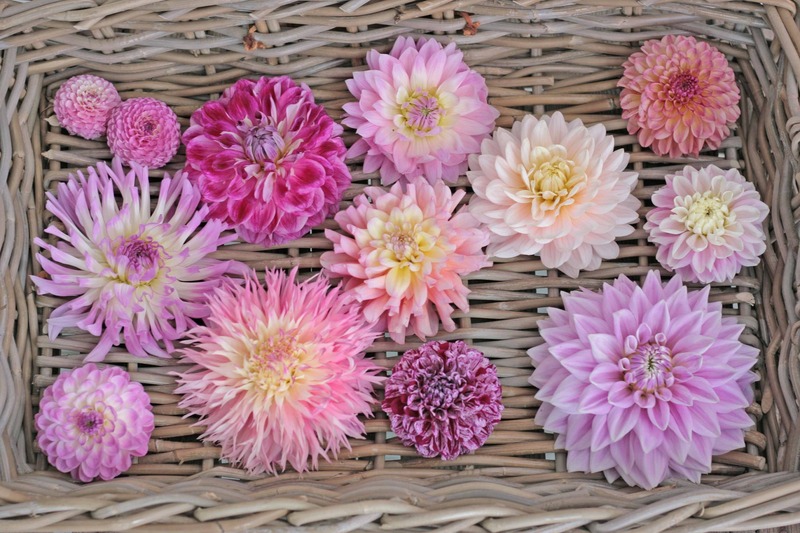 A specialist in the field of dahlias, who is always looking for new and special types. MARLIES is the organizational force behind the farm, family, house and garden. Always working with pleasure, enthusiasm, creativity and always looking for new ideas and inspiration. DAAN is the oldest son, he gladly helps his father with the business during school holidays. Preferably with his best friends, so that they can have a lot of fun working together during the weeding and harvesting of the flowers. MEREL is the youngest daughter, who likes to be in the garden with her neighbor girls. She enjoys helping grandpa in the vegetable garden and grows her own flowers and herbs. With cats, goats, chickens, a vegetable garden and fruit trees, there is always something going on around our FAM Flower Farm.